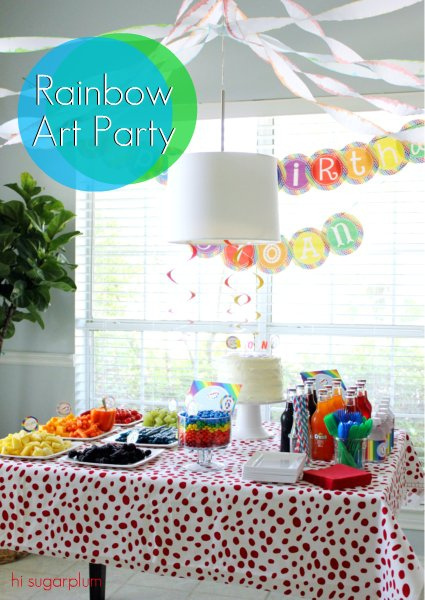 Rainbow Art Party from Hi Sugarplum! 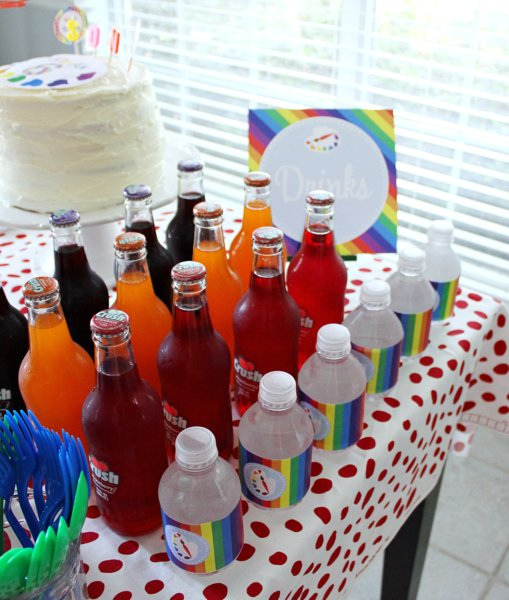 I’ve seen SO many fantastic rainbow parties out there lately! 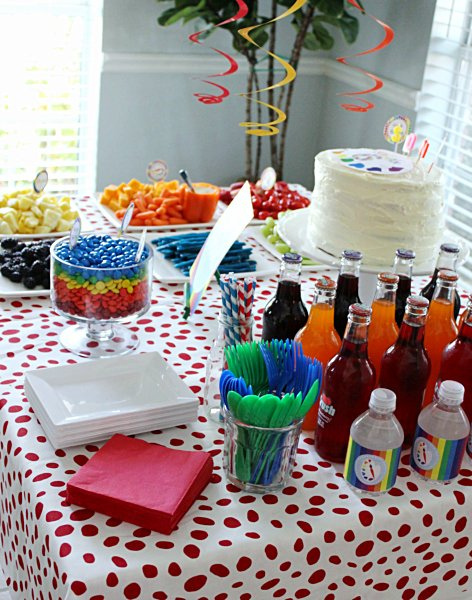 Bright multi colors are so much fun to work with and there are so many ways to bring out all the details with the food and decorations. Our friend, Cassie, at Hi Sugarplum! 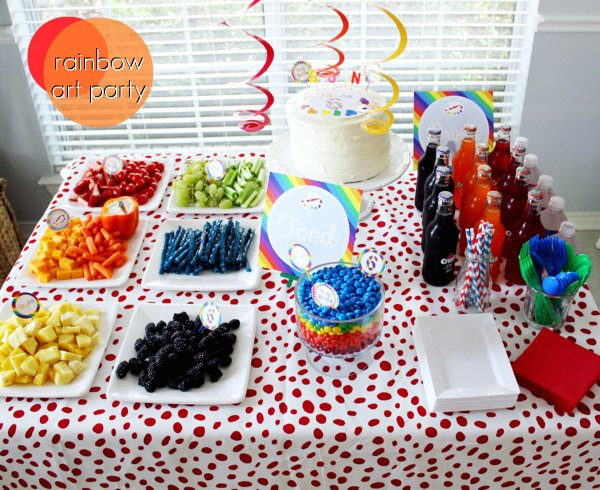 put together a STUNNING Rainbow Art birthday party that I think you’re going to drool over! Oh and if Hi Sugarplum! is new to you, I would definitely check her out! She has some amazing ideas. 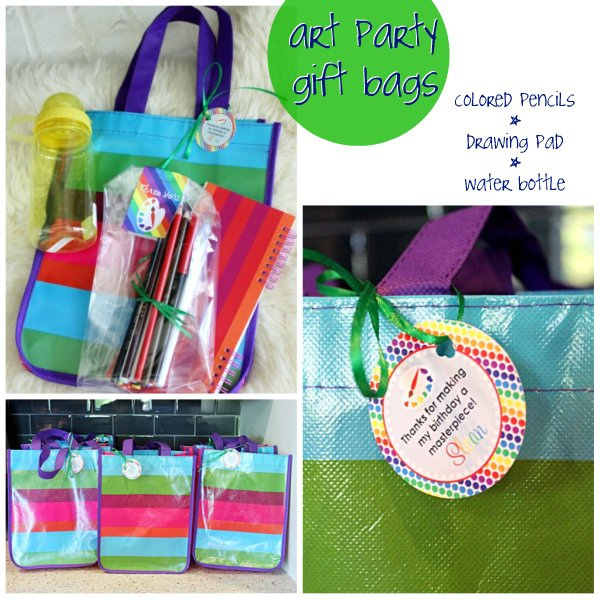 Art Party Package available in our shop. 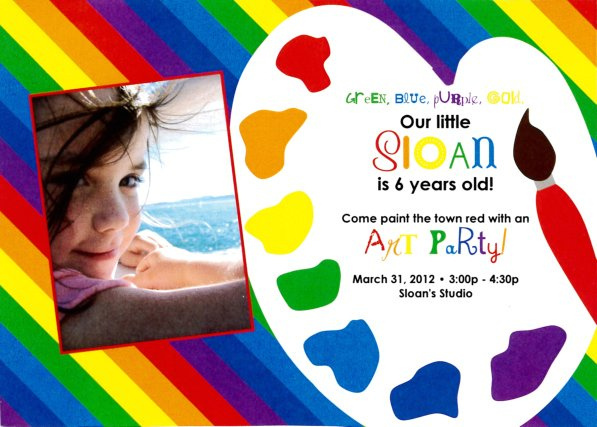 Here’s the invitation that they used for the party. 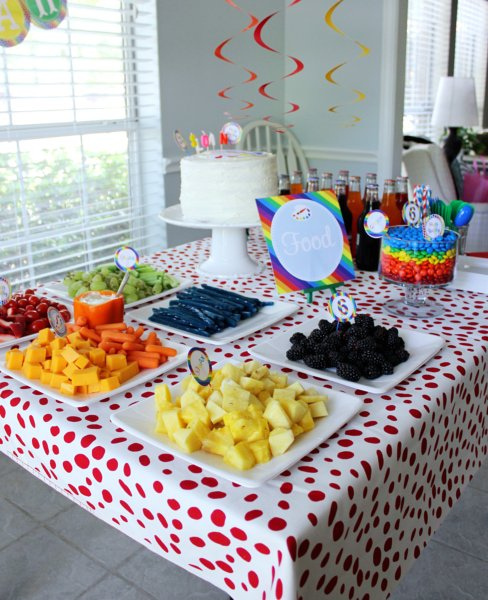 Gorgeous and bright food table! 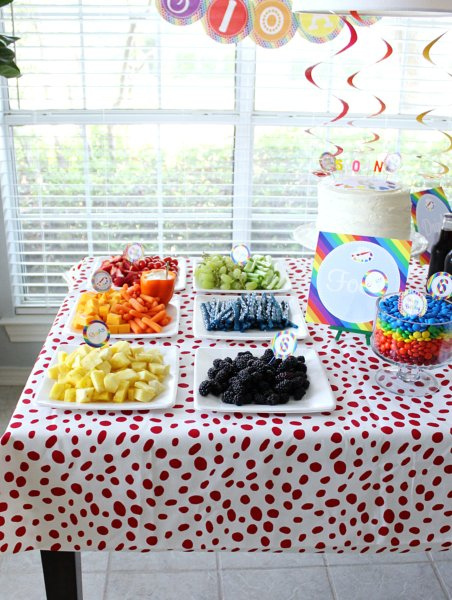 I love that there are some healthy snacks on that table too!! It’s SO pretty and bright. 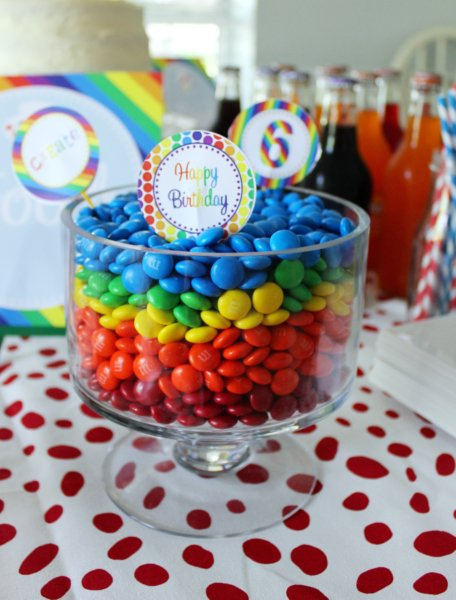 Perfect for a birthday! 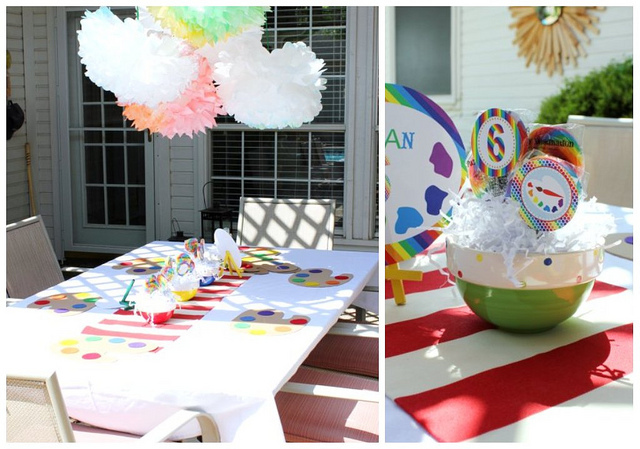 Cassie hand dyed the streamers and crepe paper, check her blog out for instructions! 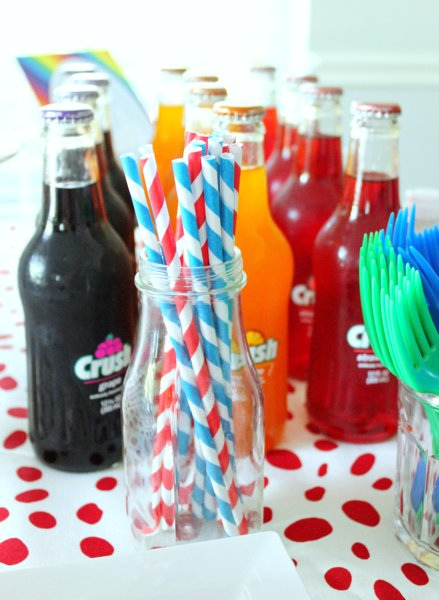 The party favors were really cute too!! 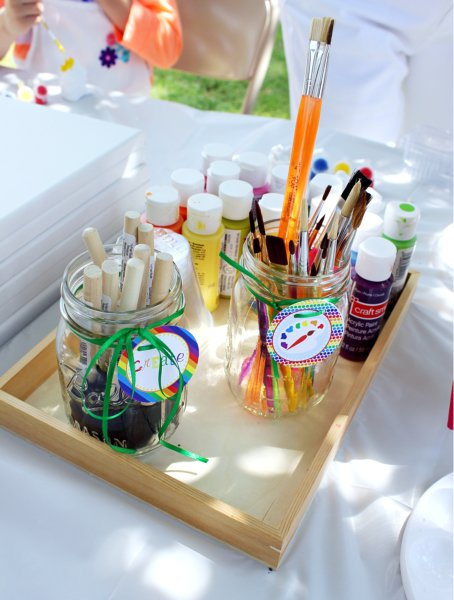 This is one of the cutest parts of the party…the activities that parents put together are always so interesting and this definitely spurred on the children’s creativity! 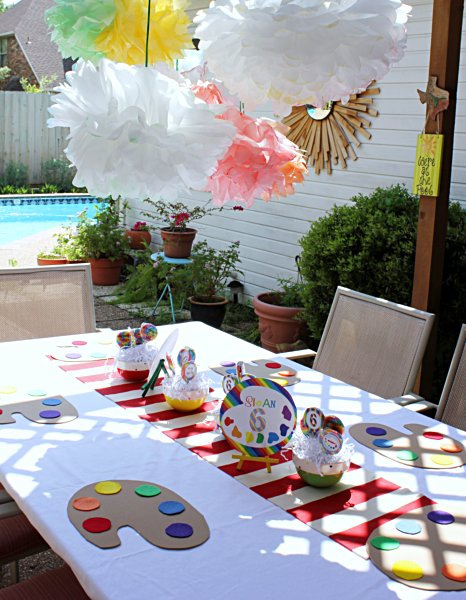 The color palette table settings were ADORABLE and such a fun idea! 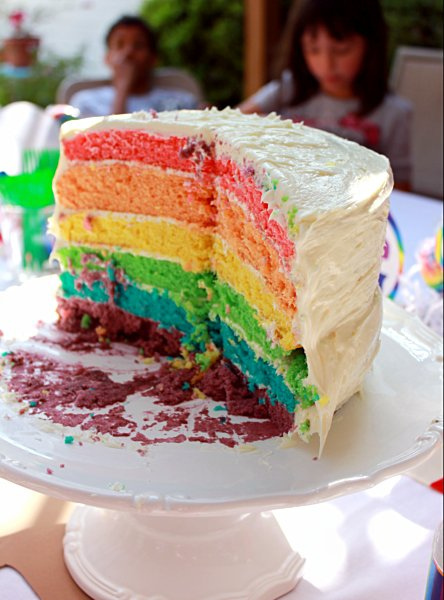 And a Rainbow Art party just wouldn’t be complete without a rainbow cake! 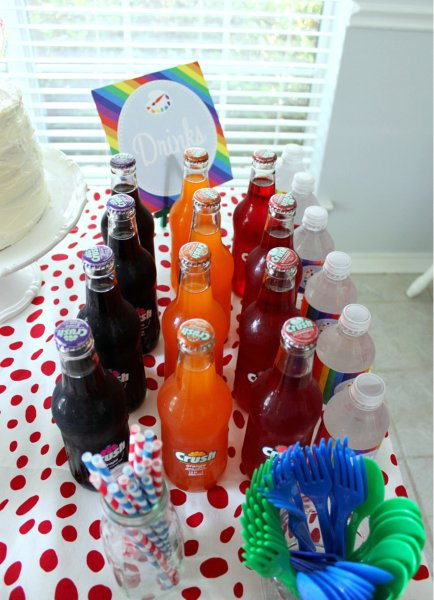 HOW ADORABLE AND UNIQUE IS THIS PARTY!? 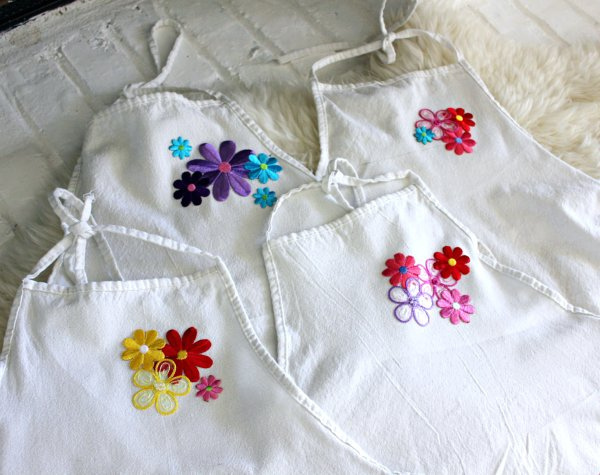 Be sure to pop by Hi Sugarplum! and tell Cassie your thoughts and see all the important details that I left out! 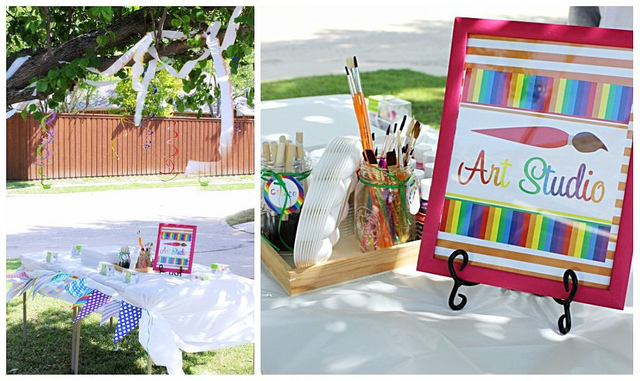 My name is Carli, owner, designer & creative mind behind DimplePrints. I am married to my high school sweetheart & we have 3 wonderful kids. 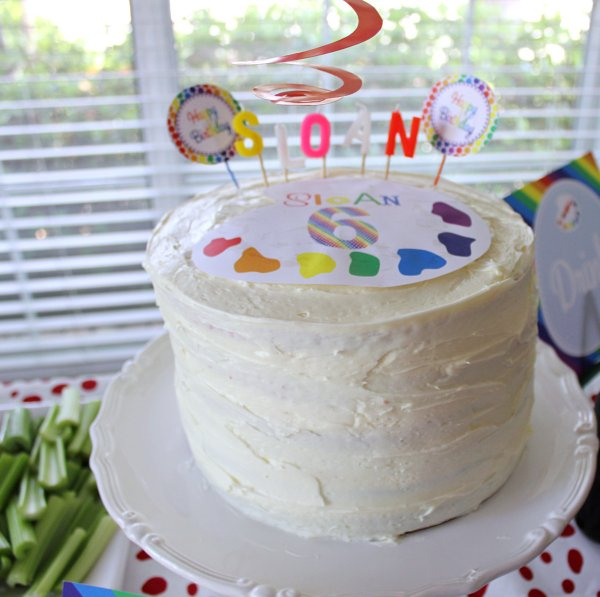 In the beginning I simply started by wanting to share a piece of our lives with loved ones by sending cards & invitations for special occasions. 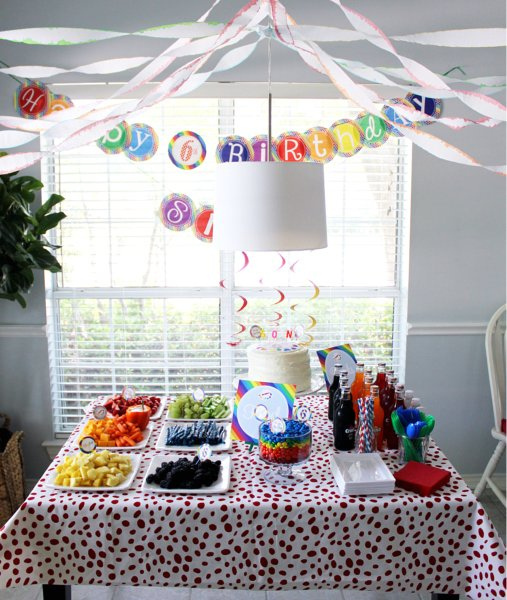 With the support of family, friends & great customers, it has grown into Dimpleprints. Copyright © 2019 Design by Key Lime Digital Designs. Built on the Genesis Framework.